Home » About the hospice » Latest News » Hospice News » sock it to lymphoedema! Rachel Warth, Lymhoedema Practitioner at Kendal Lymphology Centre in her odd socks in support of the #sockit to Lymphoedema campaign! Here at St John’s we don’t just care for people at the end of their life, we play an active part in the community helping people with a wide range of conditions, and at all stages. 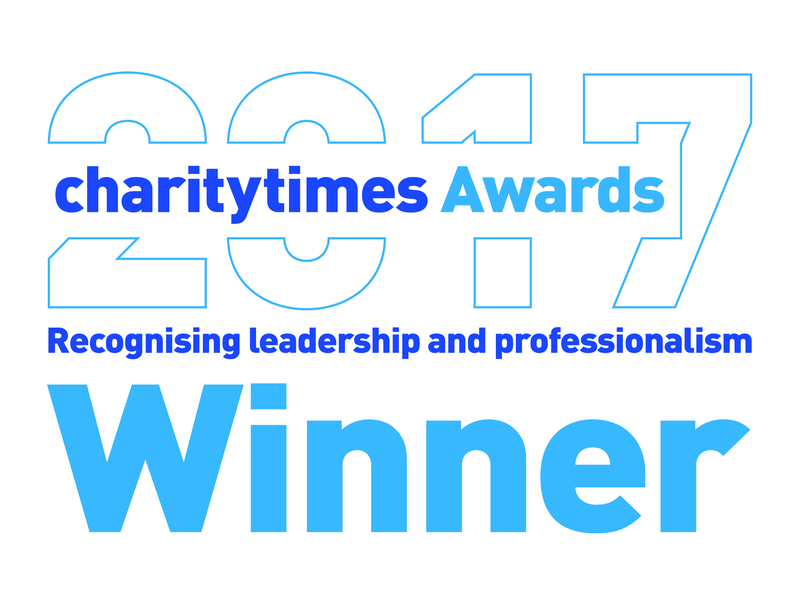 We work in partnership with many other organisations, sharing best practice, and doing all we can to improve access to care in our community, when people need it most. One such organisation is the Kendal Lymphology Centre. 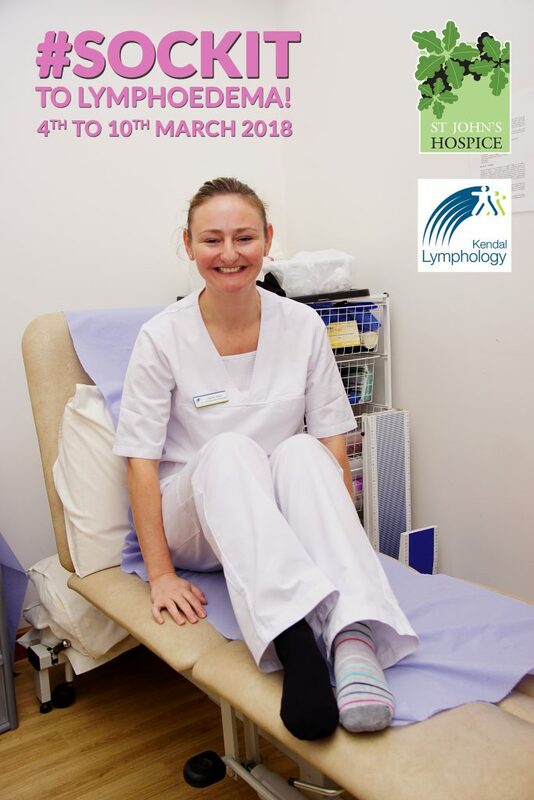 This week is Lymhoedema Awareness Week (4th to 10th March), so we caught up with Rachel Warth, Lymphoedema Practitioner at Kendal Lymphology Centre, to ask her some questions about Lymphoedema. Lymphoedema is a swelling that develops as a result of an impaired lymphatic system. This may be as a result of the lymphatic system not developing properly or through damage/trauma, or after surgery, including surgery associated with cancer. It can affect any part of the body but is most commonly seen in an arm or a leg. Although thought to be relatively uncommon, a recent study has estimated that at least 240,000 people in the UK may be affected by this condition. What to look for if you think you may have lymphoedema? Look for clothing, shoes and/or jewellery feeling a little tighter. You may also notice some swelling, particularly in arms and legs. It may be subtle at first and not necessarily painful. It can feel like a dull ache, in fact, it has been likened to toothache. If you have a family history of the condition you may be at higher risk. Go and see your healthcare professional. That might be your GP in the first instance, or ask your consultant if you are already under the care of one. You can also get a lot of information and support from LSN (the Lymphoedema Support Network). You can find lots of useful information on their website www.lymphoedema.org or call them on 020 7351 4480. Although there isn’t a cure for Lymphoedema, when the condition is managed well, people can live full active lives. Early diagnosis can help, and with the aid of compression garments and socks, patients can get on with their lives just as they did before. A healthy lifestyle and staying at a healthy weight are really important factors too. There are lots of support groups around too, to get in touch with other people going through similar challenges. Contact the LSN on the number above, or visit their website, to find a support group near you. By raising awareness of Lymphoedema, and how to spot it, we can help more people get diagnosed sooner which in turn helps the management of the condition.